Professional Wash N Wax removes daily dirt. 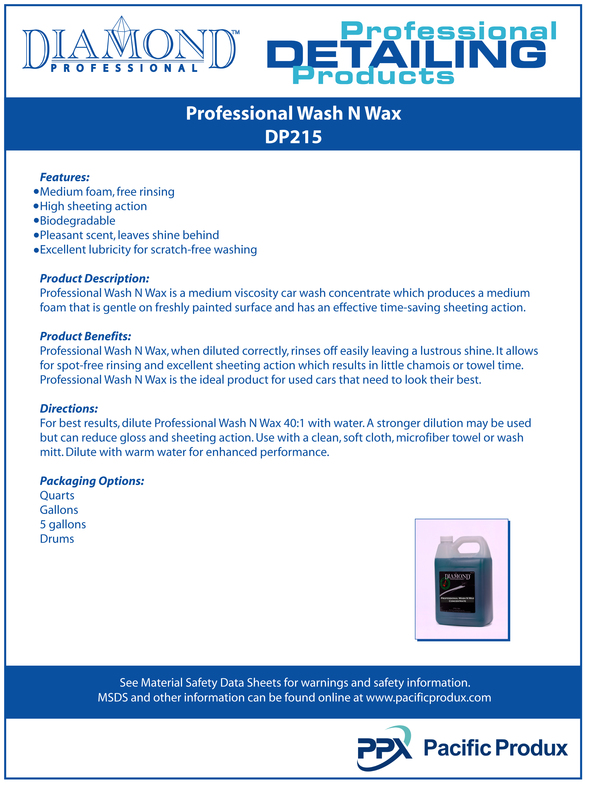 It is a medium viscosity liquid car wash concentrate, which produces low foam conducive to waxing. When diluted correctly, Wash N Wax offers superior surface lubrication that rinses off road film and soap easily, leaving a lustrous shine. Professional Wash N Wax is the ideal product for used cars that need to look their best since it allows for spot-free rinsing and excellent sheeting characteristics with little chamois or towel time. Professional Wash N Wax also brightens chrome and glass beautifully. Click here for technical bulletin.